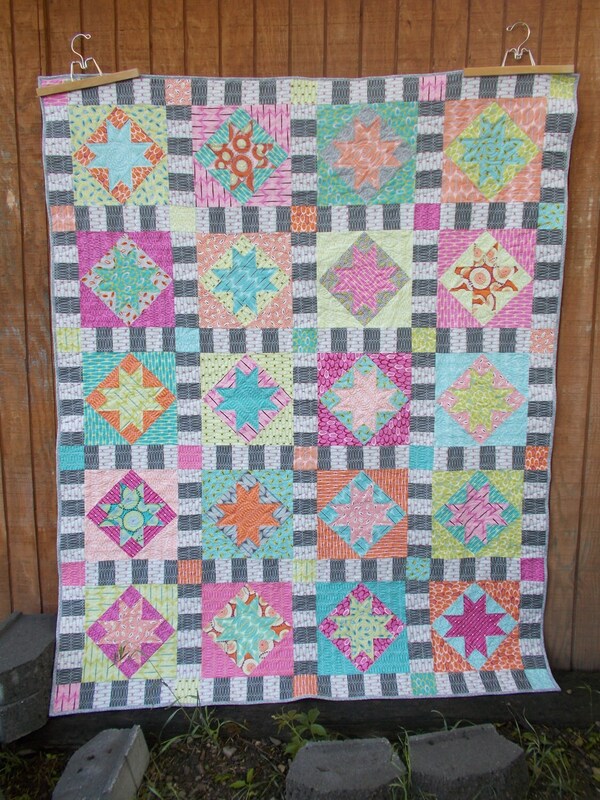 Stars are surrounded by a strata sashing with corner posts in this scrap quilt. 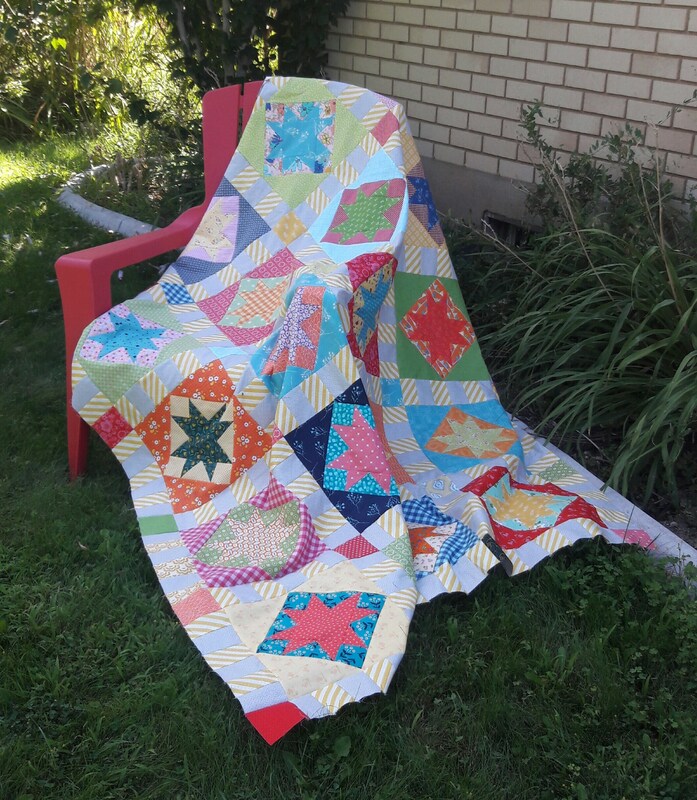 It is an easy pdf quilt pattern. Throw quilt: 61" x 75"